Personalized with a stunning engraving of her name, initial, or monogram in your choice of font style, it will be a beautiful addition to her white gown on her special day. 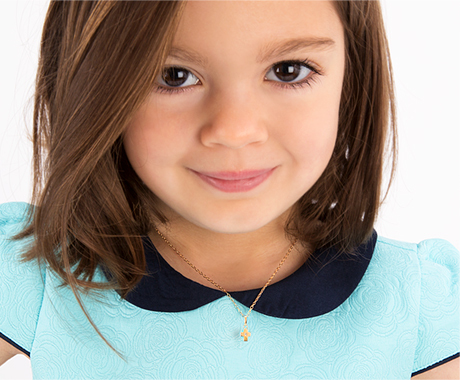 Make it your own by choosing your religious charm and adding any other optional charm to fit your little princess. She will look so sweet in this large round pendant. All parts are made entirely of 100% solid sterling silver. It will be a lasting gift that she will love wearing as she grows. She is your precious angel, and your faithful little girl. She will want to have something to remember her First Holy Communion.